The World Bank warned Wednesday of a deepening economic crisis in the occupied West Bank if Israel follows through with the plan to slash Palestinian Authoritiy's tax funds. The PA describes the payments as a form of welfare, while Palestinians venerate prisoners jailed by Israel as heros for their cause. In its Wednesday report, the World Bank said the unresolved standoff deepened a "fiscal crisis" that could increase the PA's financial gap from $400 million in 2018 to one "exceeding $1 billion in 2019." "This is expected to choke economic activity, threatening to push the West Bank into negative growth," the World Bank said. "A resolution to the stand-off over clearance revenues is essential," it said, referring to the tax transfers. The bank also called for a change in Israel's restrictions on Palestinian imports of so-called "dual-use goods" — products and technologies that can be used both for civilian and military purposes. Israel bans 56 items from the West Bank and the Gaza Strip, and an additional 62 to Gaza only. It has fought three wars with Palestinians in Gaza since 2008 and maintains a blockade on the enclave run by Palestinian resistance movement Hamas. As a result of the restrictions, "the Palestinian economy is unable to access key production inputs and modern technology, challenging its ability to expand its production frontier and grow in a sustainable manner," the report said. The World Bank estimated that easing restrictions on such goods "could bring additional six-percent growth in the West Bank economy and 11 percent in Gaza by 2025." The bank's report will be presented to the international donor group for Palestinians, known as the Ad Hoc Liaison Committee, at its meeting in Brussels on April 30. 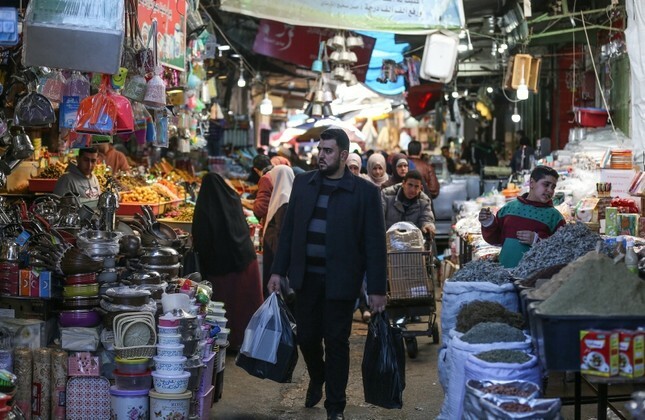 It also noted "a continuous decline in real per capita income and a further rise in unemployment and poverty" in the Palestinian territories, with 52 percent of Gaza's labour force jobless in 2018. The Palestinian Authority has seen a dramatic drop in direct foreign aid, which has gone from 10 percent of gross domestic product five years ago to 3.5 percent last year. In 2018, the United States cut hundreds of millions of dollars in Palestinian aid.